You can’t make a soap bar without adding water and sodium hydroxide (NaOH). We add just enough NaOH to keep 15% of the oils and butters suspended as oil in the bar. We test the PH just to make sure it is below a PH of 8 to ensure no sodium hydroxide is left in the bar after it has cured. 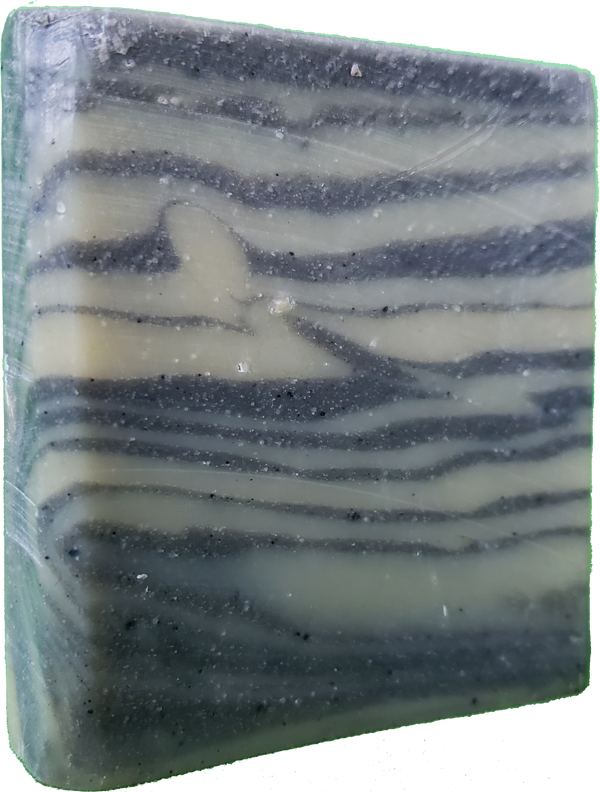 natural indigo was used for the blue in this soap.